The versatile Alderwood Room serves as the main event space at the Country Inn & Suites near the PDX airport. 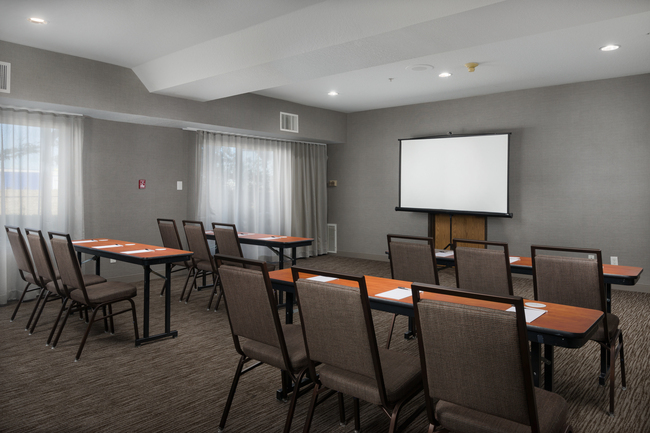 Spanning 792 square feet, the room can accommodate up to 24 guests with a U-shaped configuration and up to 60 attendees in a theater-style configuration, ideal for business conferences, training sessions and interviews. Planners can rent audiovisual equipment from the hotel and arrange catering through Brenner’s Restaurant, located on site. Contact the hotel to inquire about reservation rates.